Mid Century Modern reimagined in 2019 to all the glamorous glory we desire in the perfect home of today. Gorgeous views of Camelback Mountain from all the main living areas and the sparkling private pool. 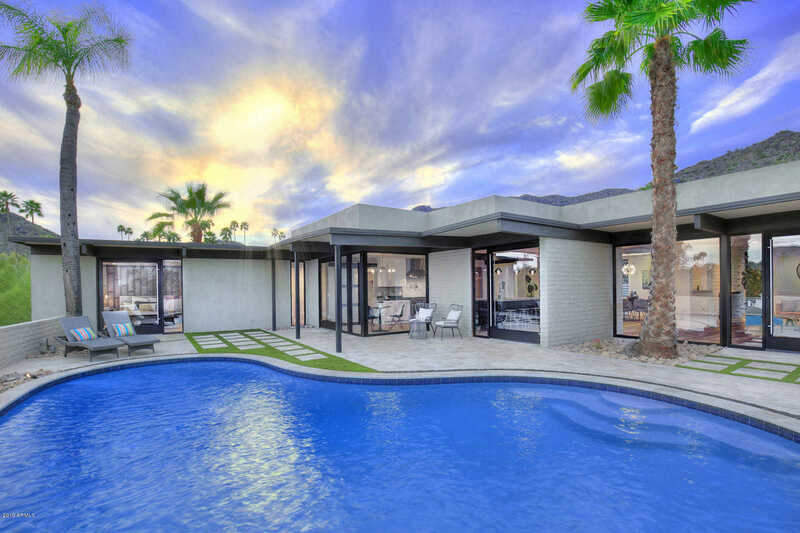 Exquisitely designed with the utmost of thought given to all the fine finishes used inside and out to create this Paradise Valley Jewel. Just over 3,800 square feet with four bedrooms, three and half baths, plus a large game room with bar in the cool walk-out basement. Expansive area outside the game room can be used to create additional outdoor entertaining space. Be the first to live in this beautifully remodeled home in an exclusive guard gated community. Directions: North on Tatum to Clearwater Parkway. West to gate. Guard will direct you to the home. Full pool update in 2019. Approximate size: 41806.00 sq. ft.